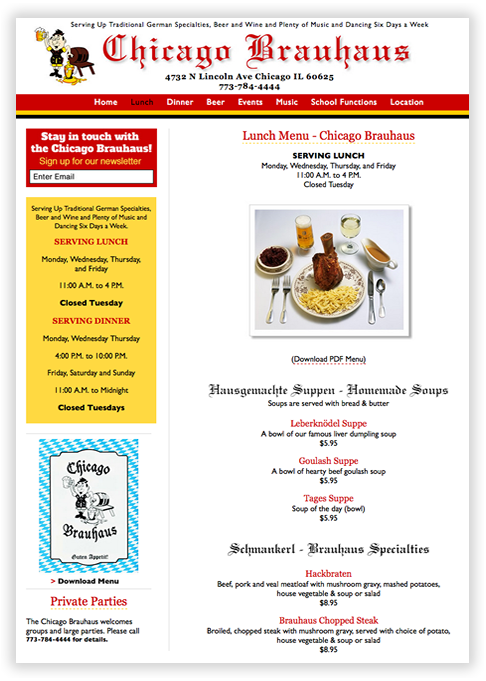 Swartwerk Media Design has been performing search engine optimization (SEO) services for more than a decade. We analyze your website alongside your competitors' websites, examine your link popularity, and compile strategic keywords to create a comprehensive, long-term search engine optimization (SEO) campaign. Once your SEO campaign is up-and-running, we track your search engine rank daily and monitor strategic keywords to chart the campaign's progress. 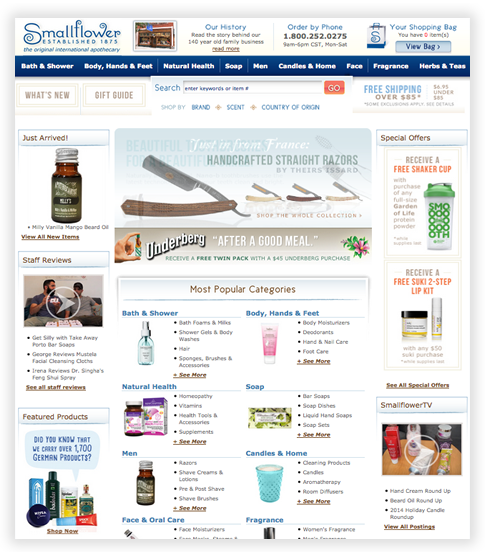 Swartwerk Media Design consulted with Smallflower and Merz Apothecary in Chicago to develop a comprehensive, long-term search engine optimization (SEO) campaign. 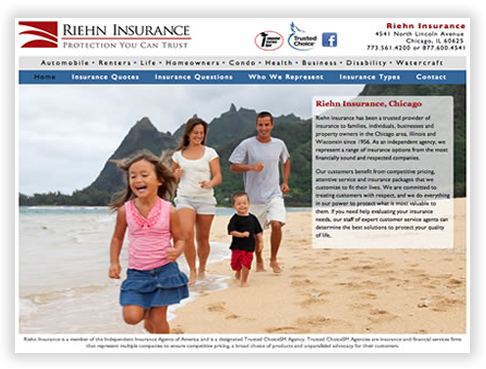 Riehn Insurance employed Swartwerk Media Design to increase its presence on Google and other search engines. 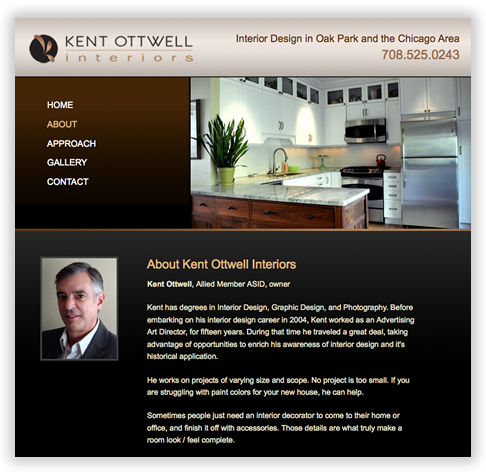 Ranks in top 5 resulst on page 1 of Google for the keywords "Oak Park Interior Design"
Swartwerk Media Design created and developed this website, then implemented a search engine optimization (SEO) campaign to promote it as a top German restaurant in Chicago.